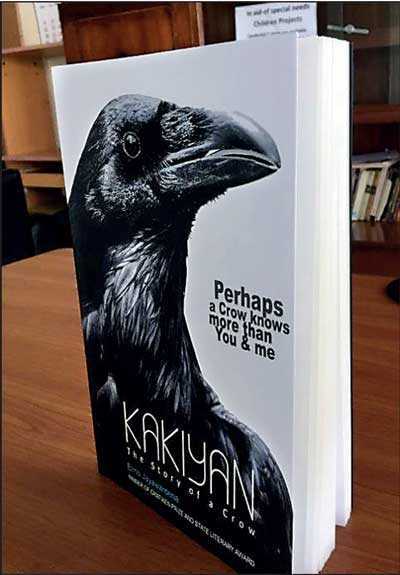 Captain Elmo Jaywardena’s latest novel ‘Kakiyan: The story of a Crow’ launched recently at the M.D. Gunasena Auditorium, amidst a large gathering of friends and well-wishers. Kakiyan is Captain Jayawardena’s fourth novel following Sam’s Story, winner of the Gratiaen Prize (2001), The last Kingdom of Sinhalay, which won the State Literary Award (2005), and Rainbows in Braille – shortlisted for the Singapore Literature Prize. With Kakiyan he brings the most-frowned upon bird, the crow, to the limelight as he paints the world through the eyes of a young crow, growing up with his family and neighbours in the Jacaranda Condominium. Through a collection of colourful crow characters like Roy Crow – the flying instructor and Victor Crow – the train lover, together with other animal friends such as Croco Martin and Tony Monkey, the book invites the reader to look at themselves in a different perspective. How does the animal world, and in this case, the world of crows – those clever, observant birds that are ever present in our surroundings – see the ‘Great Ones’, us humans? Speaking to those gathered, Captain Elmo himself called attention to the animal cruelty that takes place around us, which is sadly internalised to such an extent that it appears to be ‘normal’. For him, the animal world was much more compassionate than the human world, where the helpless are looked after. He hoped that Kakiyan would in some way join the ranks of works that speak against animal cruelty. By using the common crow as the protagonist, he is also showing how close to home such issues are. 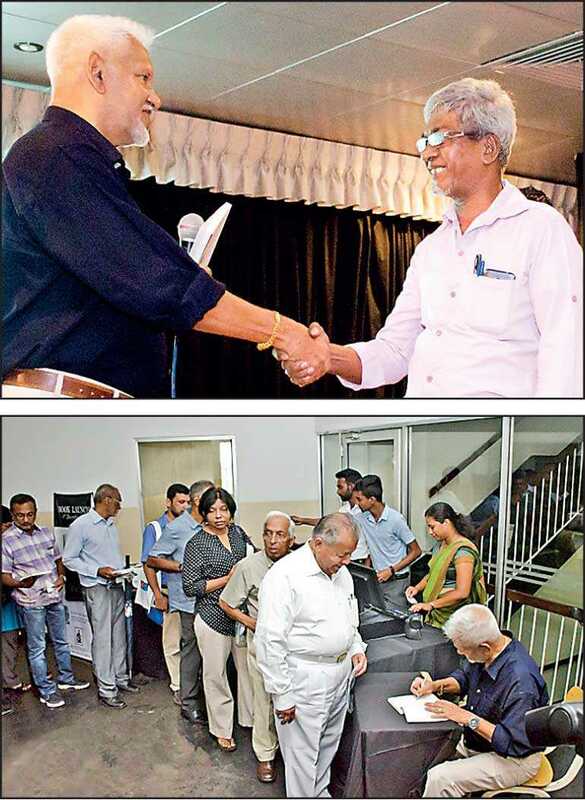 The first copies were presented to Max Jayamanna and Prof. Yasmine Gooneratne. Captain Elmo then called upon a special person from the audience, who has been a constant figure in the local literary circles, not by writing his own novels, but by making hundreds of novels available to readers, most who have grown up borrowing books from him – Deen the Bookman. Kakiyan has thus made its way to the bookshelves and has become one of the rare books that champions the crow.